I’ve been selling off quite a few Horrockses from my collection lately, but this is what I call a classic Liz Horrockses- i.e. blue and white! This dress has totally stunning side contrast details. Size UK 8-10 £125. 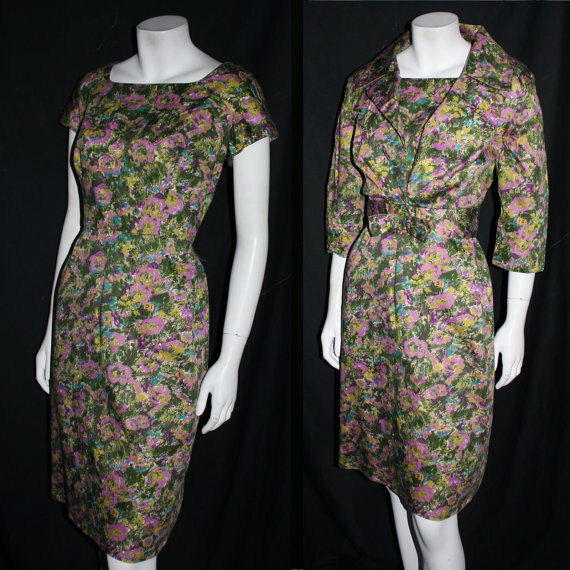 I also can’t resist a Sambo fashions dress. I often think these garments produced by manufacturer Samuel Sherman are some of the few that stand up to Horrockses. 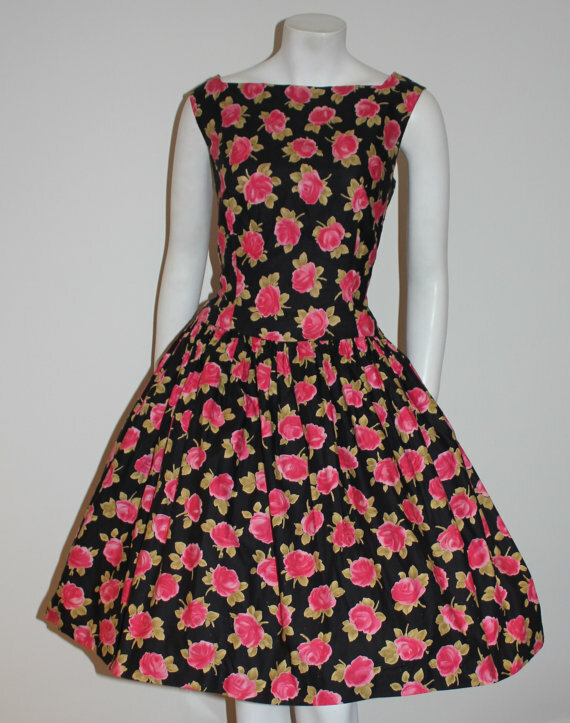 This lovely number features a bold pink rose print on crisp black cotton with a dropped waist. £75. A uk 10 to 12. 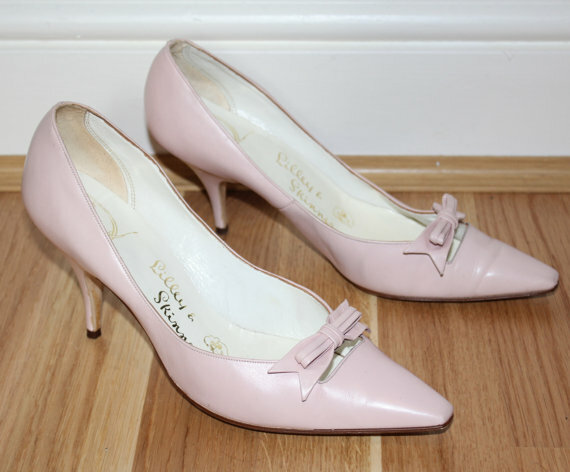 Over on ebay there’s some pretty great pieces listed too, if you need your shoes, sunnies, jewellery, hat or that perfect dress- there’s something for you! 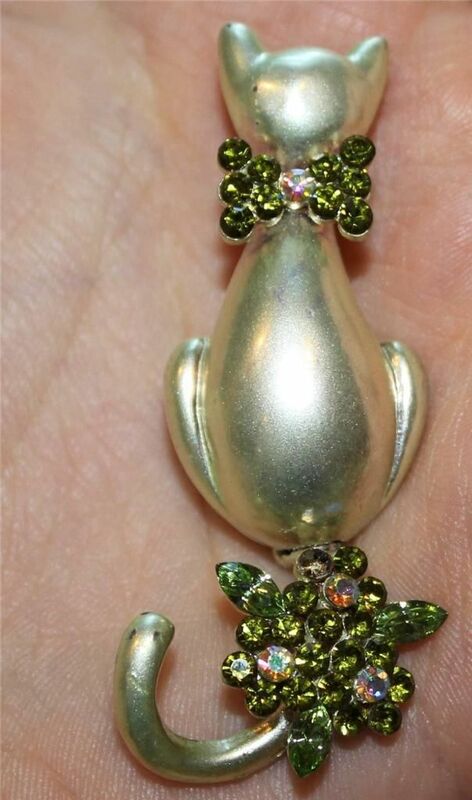 I adore this little green trembling cat brooch- resembling the style of 1940s coro jewellery but a much more modern piece pin it to a vintage dress- the perfect accompaniment to any vintage outfit. I’ve got four (yes, four!!!) pairs of lovely deadstock sunglasses on offer too. All in delightful “jelly” colours. 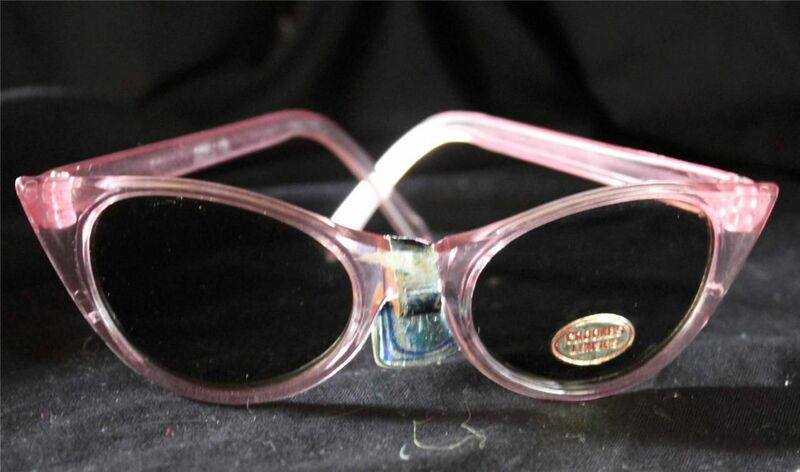 These original 1950s cats eyes are sure to make you stand out on the beach. 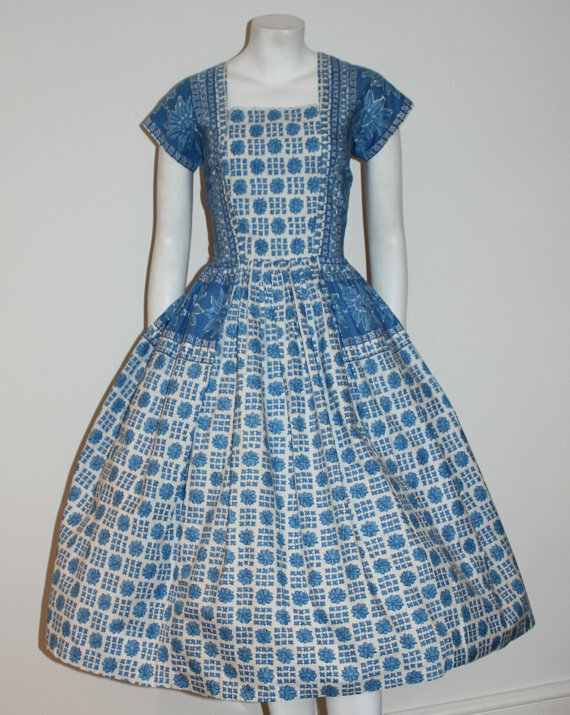 In terms of dresses I have a simply lovely cotton frock on offer too. 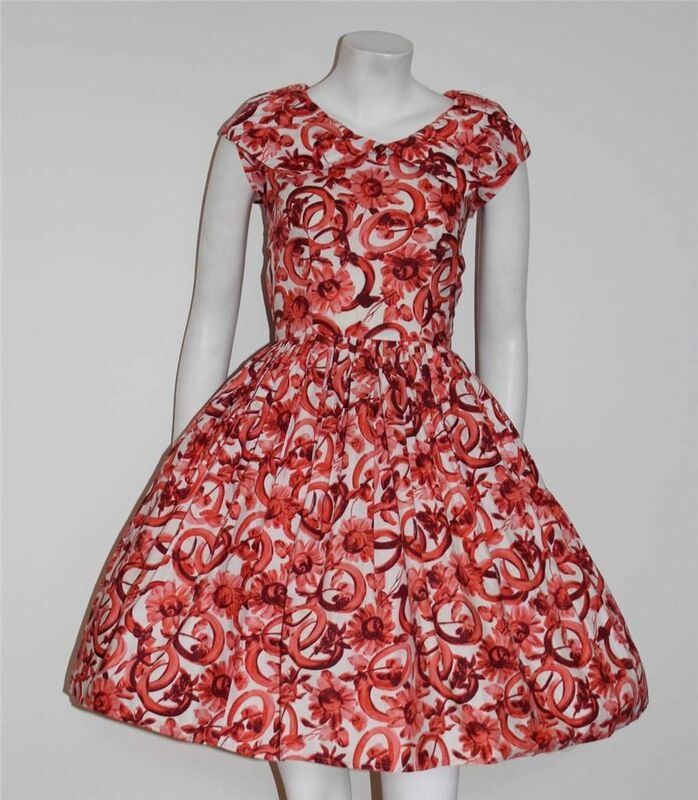 I jokingly refered to this as my ring a ring of roses dress (the print is roses and rings in a pretty sketchy style). Could be a great all year round dress as I think this would be fab teamed with tights too. 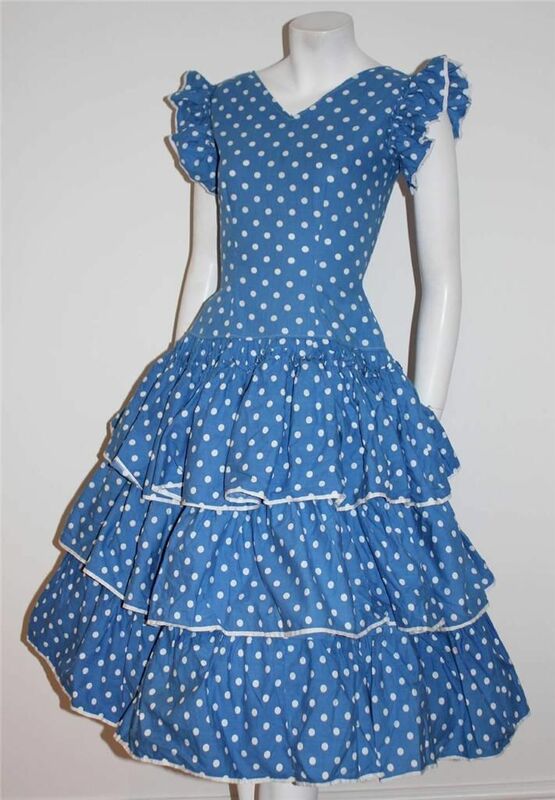 This polka dot number is the perfect flamenco esque frock! Original 50s. Happy shopping everyone : D !